— Bridge over River Lee would link Harley’s Street to Parnell Place. 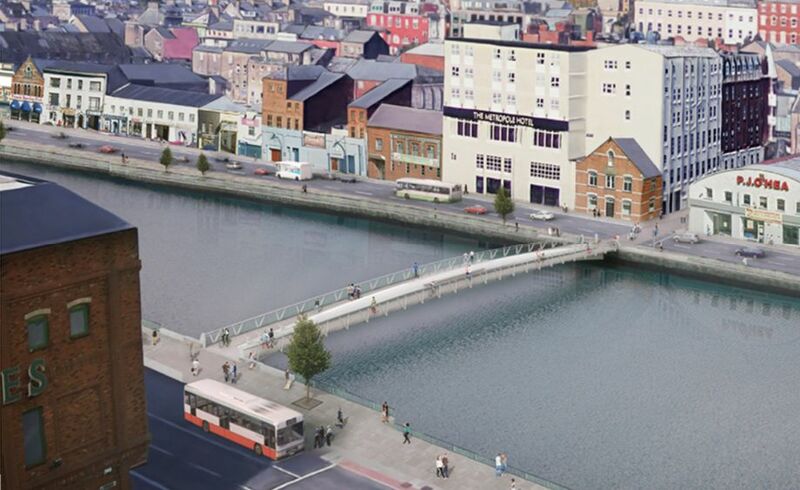 Cork City Council is planning to build a shared walking and cycling bridge between St Patrick’s Quay and Merchant’s Quay, but the design does not meet the planned width requirements set out when the project was proposed last year. 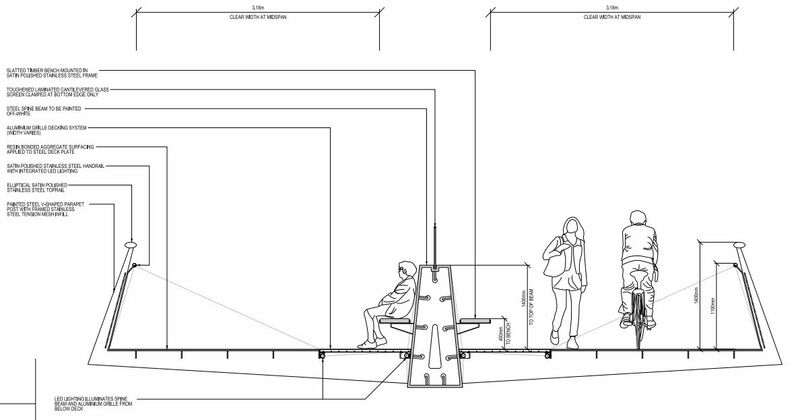 According to the council’s planning documents, in September 2016 the bridge was proposed with general requirements which included a “minimum clear parapet-to-parapet width of 4.5m”, but it is now designed with a width split in half with a seating area. 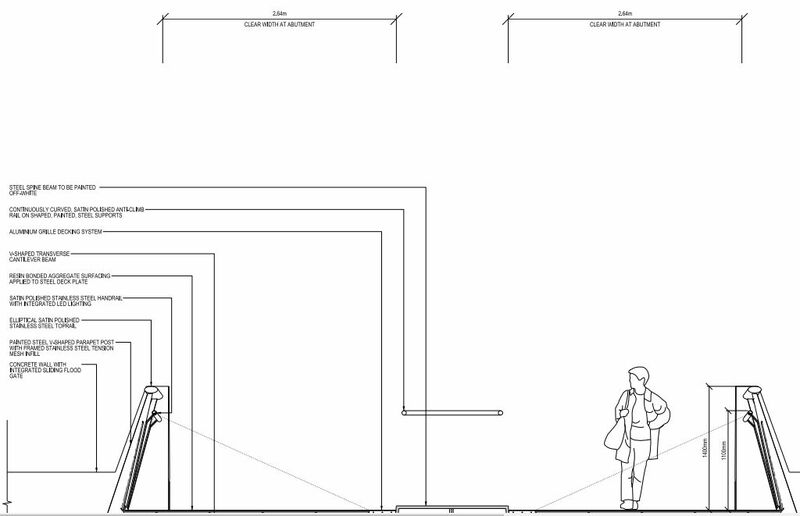 The project drawings show that the width of each half narrows to 2.64m at the quay walls. While the width increases to up to 3.18m of movement space in the middle of the bridge, this area would have a steel “decking grille”, designed partly to keep people cycling away from the central seating. 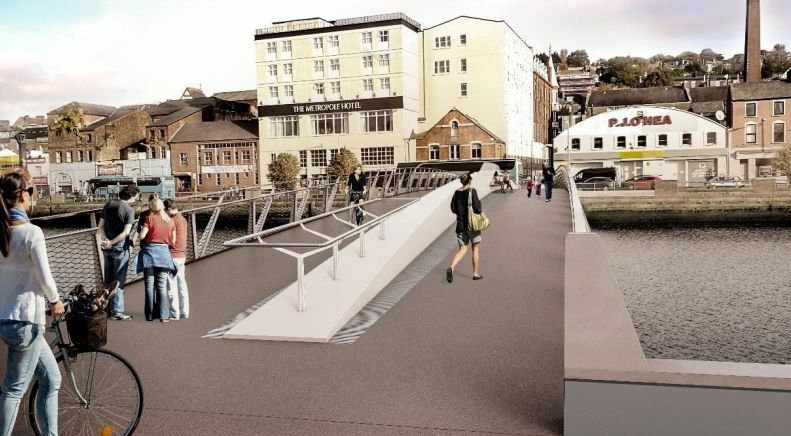 The council said that submissions and observations can be made in writing with the subject line “Harley Street Pedestrian & Cycle Bridge” sent to to roadsdesign@corkcity.ie; posted to Roads Design Division, Room 331, City Hall, Cork; or made online through the online consultation portal. The deadline is 4.00pm on Tuesday September 5, 2017.